Capsule hotels are all the rage in Japan, and now Lookotels is aiming to bring the prefabricated modular building trend to Spain. The company has envisioned a 100-room hotel composed of factory-built capsules that could be constructed in less than 6 months. Lookotels coined the term “lowxurious” to describe their budget hotels, which are energy-efficient, low-cost, and low-maintenance. 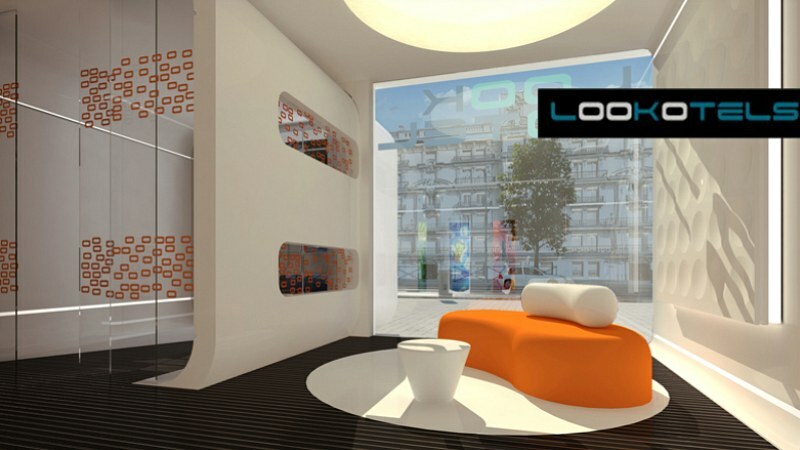 Lookotels consist of a series of prefabricated modular capsules that are connected together to form the entire hotel. Since they would be constructed off-site in a factory, overall build times and costs would be minimized and the quality and efficiency of construction would be maximized. The designers expect that a 100 room hotel could be built in less than 6 months. Modular rooms would vary in size from 9.7 sq meters for a single up to 12.1 sq meters for a premium room. Each unit would be self-sufficient and include a sofa bed, TV, a desk, a chair, a WIFI connection, a telephone, air conditioning, a bathroom, and automated controls. The entire hotel is automated with self check-in and out kiosks, a built-in safety system, and a 24-hour customer service telephone line will keep guests comfortable. Staff requirements would be low, thus further reducing operational costs. Energy-efficient sustainable design also plays a huge role in the hotel — it has an expected energy savings of 40% compared to average hotels. 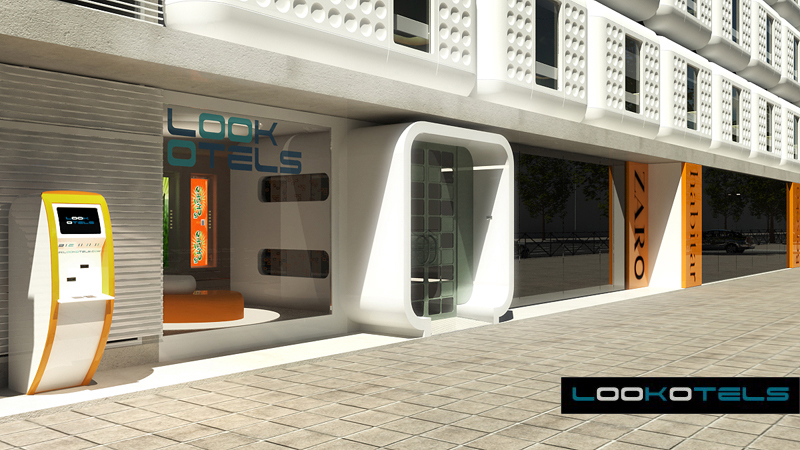 Lookotels is currently looking for investors and is hoping to roll out 10 of these modular prefab hotels in Spain before expanding around the world. Their goal is to produce a hotel that is simple, economical, and sustainable without compromising on quality. Capsule hotels are all the rage in Japan, and now Lookotels is aiming to bring the prefabricated modular building trend to Spain. The company has envisioned a 100-room hotel composed of factory-built capsules that could be constructed in less than 6 months. Lookotels coined the term "lowxurious" to describe their budget hotels, which are energy-efficient, low-cost, and low-maintenance.